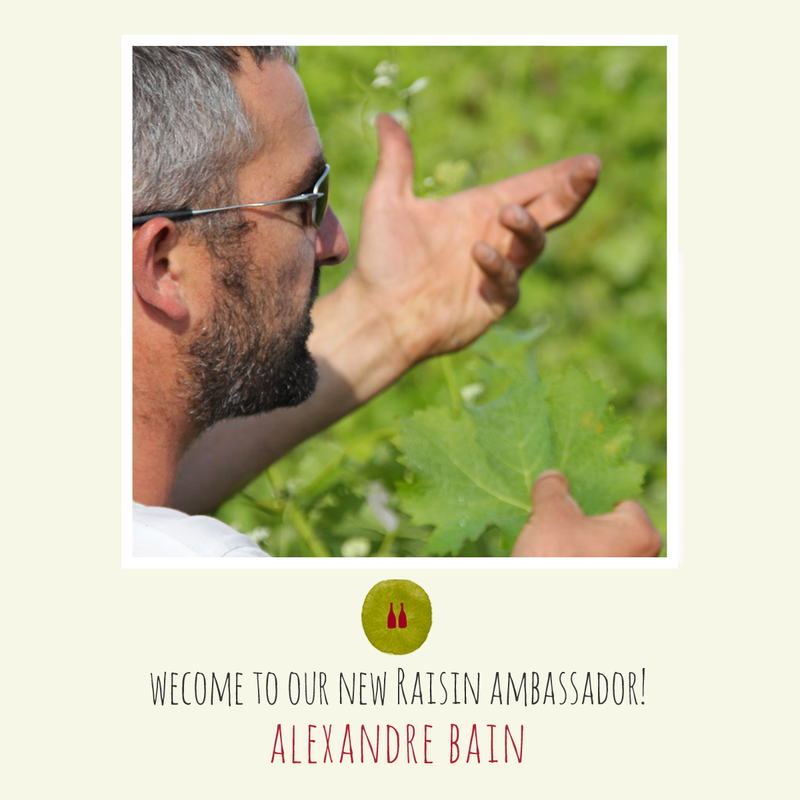 Raisin > Welcome to Alexandre Bain, a new Raisin ambassador ! Great news for the New Year, Alexandre Bain is now a Raisin ambassador! When you are a small structure with limited means, it is essential to be backed by people who are important to many others. It is also always flattering to know that what you do is recognized as pertinent and useful. Our heartfelt thanks to Alexandre for giving us his trust and support. What does it mean to be a Raisin ambassador? In the natural wine world, winemakers, cellar or restaurant owners, sommeliers, journalists, bloggers, and artists all form an unusual, solid and singular ecosystem. Each in their own way, they embody a living, evolving and inspiring movement. Jean-François Nicq, Jean Maupertuis, Paco Mora, Marie Carmarens, Patrick Böttcher, Ito Yoshio, Sylvie Augereau, Laurence Manya Krief, Christian Binner, Ivo Ferreira, Michel Tolmer, Catherine & Pierre Breton‎, France Gonzalvez, Émeline Calvez, Jean-Marie et Thierry Puzelat, Antonin Iommi-Amunategui.